The All Souls Community Garden was started in the spring of 2012 to grow fresh foods to donate to food banks in the Mechanicsville and Richmond area. 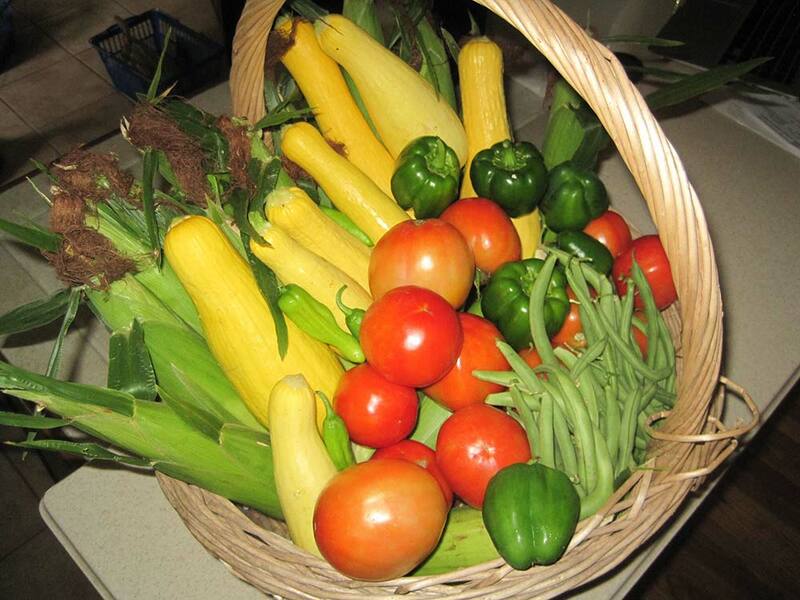 In the past six years, the garden has donated over 7 tons pounds of produce to Mechanicsville Church’s Emergency Fund’s Pantry, Northside Baptist Church's Loaves and Fishes feeding program, the McShin Foundation, Hanover Evangelical Friends Church, Church Hill Wellness Center, Moments of Hope, and individuals in need. The garden, worked entirely by volunteers from All Souls as well as friends and community organizations, is fulfilling our mission of Serving God in our Community in a real and sustainable way. Each year, we begin and end our growing season with a community blessing, ever mindful that all we have is a gift from our creator. Our fresh vegetables are truly appreciated by all who receive them! Many times the only fresh foods at the food banks is the food from All Souls! Volunteers are the backbone of the garden! The success of our mission is dependent on the time that volunteers spend tilling, planting, weeding, picking, washing, weighing and packaging, and delivering food. The garden is a special place for our volunteers who come to work, be with friends, reflect on the special relationship significance of growing and producing food that is shared, and to be a part of this special ministry that feeds so many. Volunteers were honored on November 5 at 11:30 am, and the garden Blessed with a Thanksgiving service. The 2019 Spring Garden has been planted with onion, garlic, spinach, carrots, beets, cabbage, turnips and kale. Although we have been rained out two times on work days, the garden team still got this work done in April. We will find a time to Bless the Garden in the next weeks. Your help is needed to mulch our beds, continue to bring your compostable items to the bins, and leaves for mulch. We truly are a growing and active community of believers. Located in Mechanicsville, Virginia, we work to serve our community by offering worship opportunities, unique ways to grow your faith through study and opportunities to encounter God through serving others. If you are looking for a church community, visit us on Sundays at 9:15 am at Messiah Lutheran Church. We worship at Messiah Lutheran Church located at the corner of Atlee Rd. and Meadowbridge Rd. at 9:15 Sundays.